At the start of the year, you may remember that I banned myself from shopping on the high street and created a series called ‘The Accidental Thrift‘. 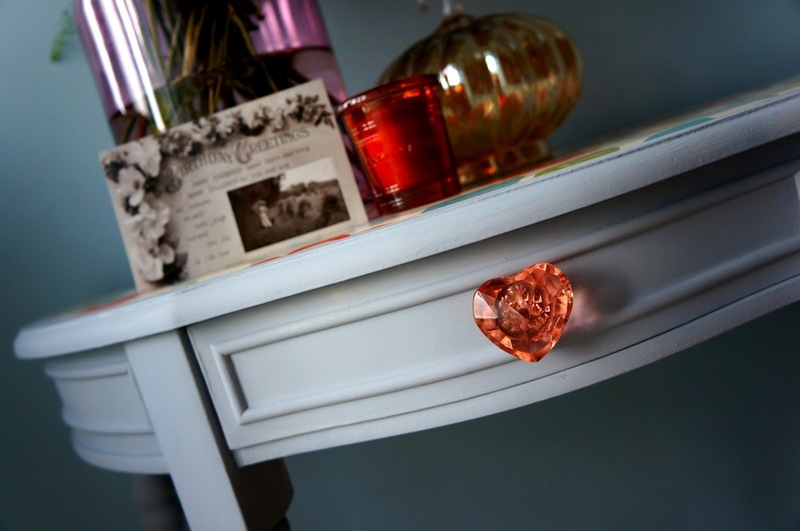 Slowly, as the months have flown by, being thrifty has become a way of life, but not when it comes to interiors. I have Pinterest dreams of how I’d love my home to look filled with reclaimed furniture, however realising that dream is an expensive and difficult task! 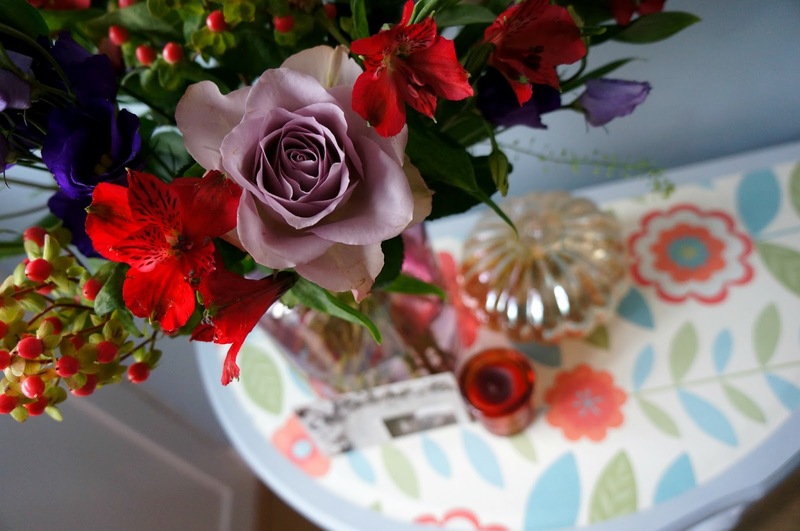 So, I’m happy to be writing a post about my latest thrifty purchase: this refurbished demi lune table. I live in a semi-detached home which is defined by its art deco features: picture rails in the hall, panels of original stained glass windows and high ceilings edged in coving. As you can imagine, finding furniture isn’t as simple as taking a trip to Ikea. Modern furniture can look out of place, especially alongside the spindle staircase and stained glass in the hall. Over the summer, I looked in charity shops and scoured car boot sales for a hall table but to no avail. It was then that I decided to look on eBay with the intention of buying a demi lune table- even if it meant travelling to pick it up. Now, it’s worth mentioning that I’ve looked for furniture on eBay before and had no luck. 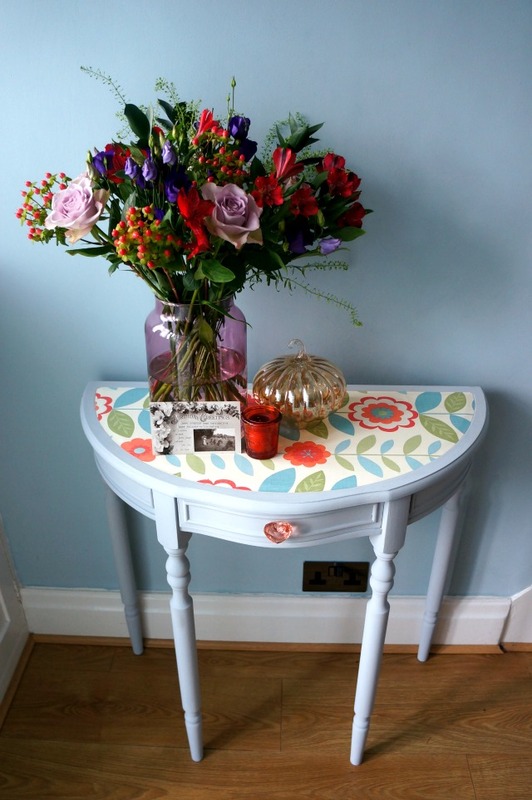 When I stumbled upon a seller in Warrington selling an already refurbished demi lune table, I couldn’t believe my luck! The auction had 18 minutes left, no clear description of the table’s size nor colour but it did have one key selling point: a low auction price. Whilst it’s not exactly refurbished to how I would have chosen, it’s quirky details have grown on me. The shade of paint perfectly compliments the Swedish Blue colour of my hall walls and the heart shape handle and floral pattern has certainly added a splash of autumnal colour. So, what did I bid for this table? I was prepared to pay £30, but my winning bid secured the table at £18. Can you believe that? I love coming downstairs to the sight of my new table and the pretty blooms that occupy them! There’s something about flowers that make a place feel homely. 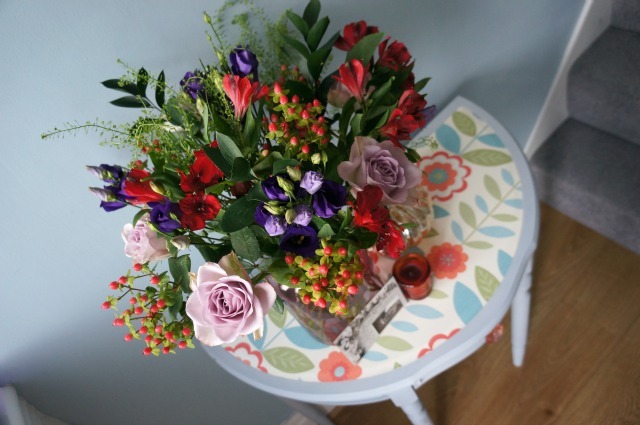 This beautiful bunch were sent to me by the team at Blossoming Gifts as a birthday present. Taken from their range of autumnal flowers, this bunch are aptly named ‘Fall’. Arriving five days ago, they still look perfect and have really cheered me up since I’ve been stuck in the house with a dreadful throat infection. 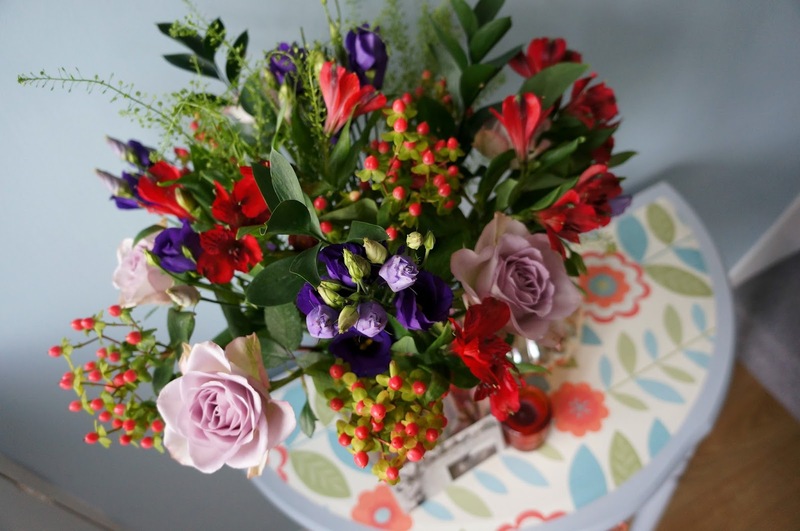 If you’re looking to treat someone to a bouquet of flowers from Blossoming Gifts, you can receive £5 off with the discount code: BL5GS. Where do you buy second hand furniture from? Have you ever found a bargain piece? 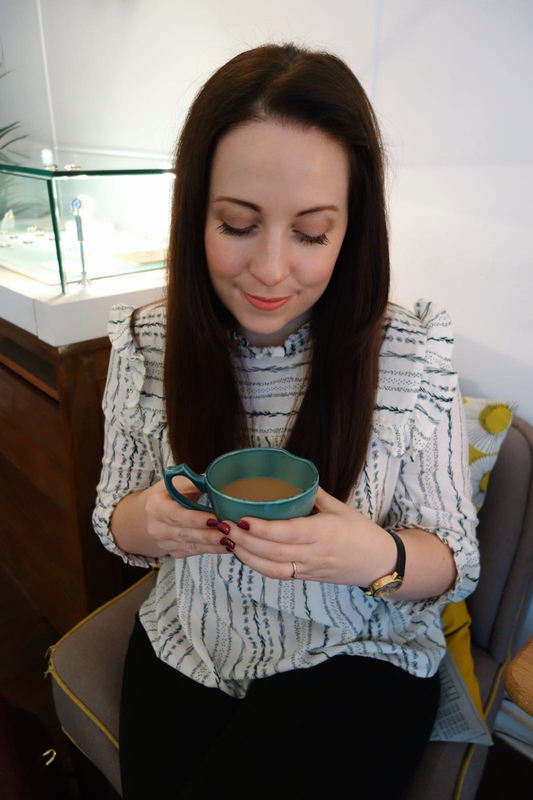 What I Wore :: 100 Day Spending Ban, Almost There!